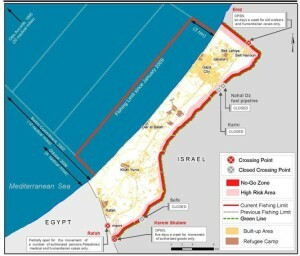 The blockade denies Palestinians in the Gaza Strip their basic human rights, in contravention of International Law. It severely limits their possibility to import and export merchandise and to travel in and out of their country. It denies them access to their agricultural lands and fishing grounds. The blockade is a form of collective punishment, which deprives the inhabitants the possibility to support themselves, security of food supplies, medical care, education, drinkable water and cultural exchange.